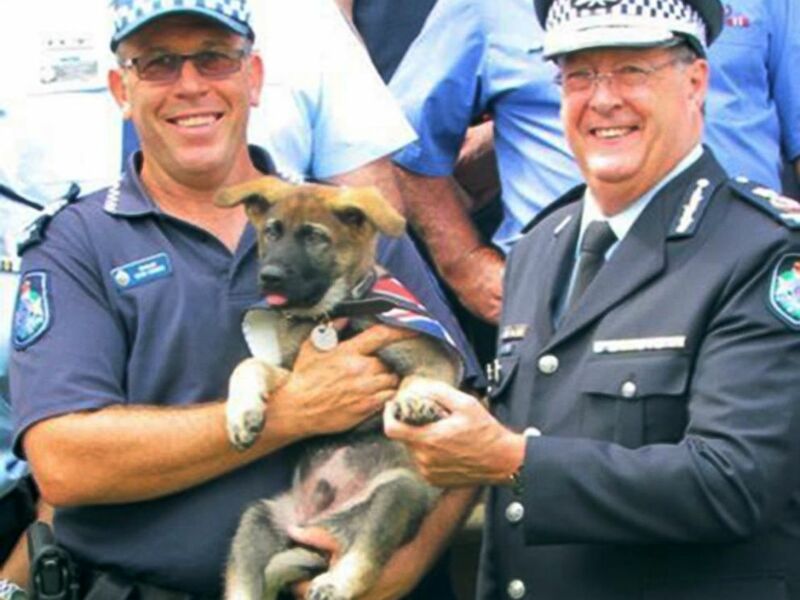 Gavel the German shepherd was given the job of Vice-Regal Dog to the Governor of Queensland after he flunked out of police dog academy for being too friendly. A German shepherd in Australia has found a new purpose after he flunked out of a police dog academy for being too friendly. 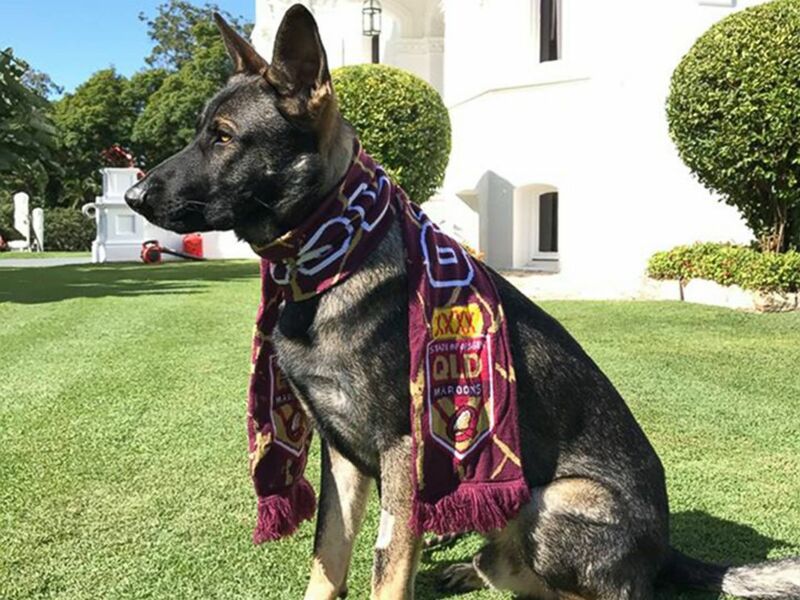 The dog, Gavel, has been living at the official residence of Queensland Gov. Paul de Jersey since he was 6 weeks old, after police determined that he was too sociable to do police work. The pup "did not display the necessary aptitude for a life on the front line," police said, according to the BBC. He was then removed from the roster of the Queensland Dog Squad. De Jersey often features Gavel on his social media accounts. 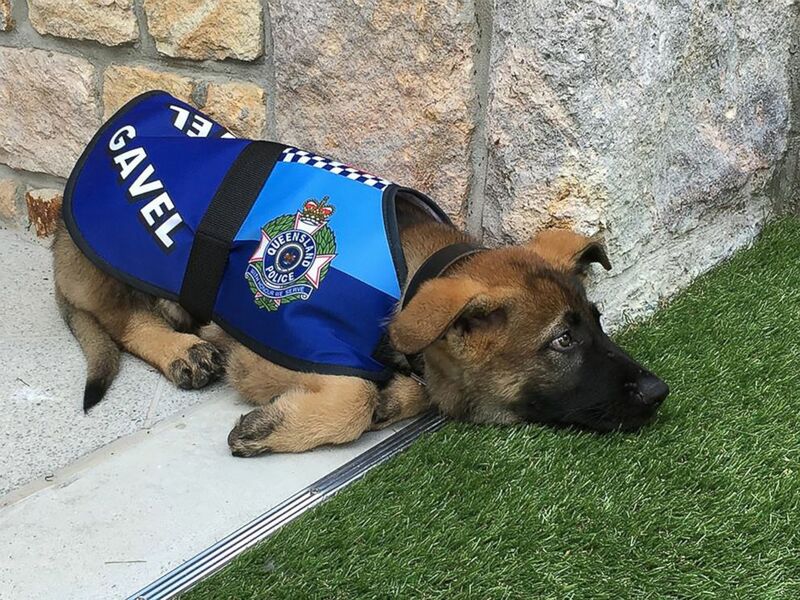 In February he posted Gavel's contract of employment for his official title of vice regal dog at Queensland's Government House. Gavel has become a sensation among Queenslanders, according to the office of the governor. His duties include greeting guests and tour groups at the Government House. He also participates in special ceremonies and has even been outfitted with a custom-made uniform for those occasions. Now a little more than a year old, Gavel as "outgrown four ceremonial coats, undergone a career change ... and brought untold joy to the lives of the governor, Mrs. [Kaye] de Jersey, Government House staff and the thousands of Queenslanders who have since visited the estate," the office of the governor said in a statement.